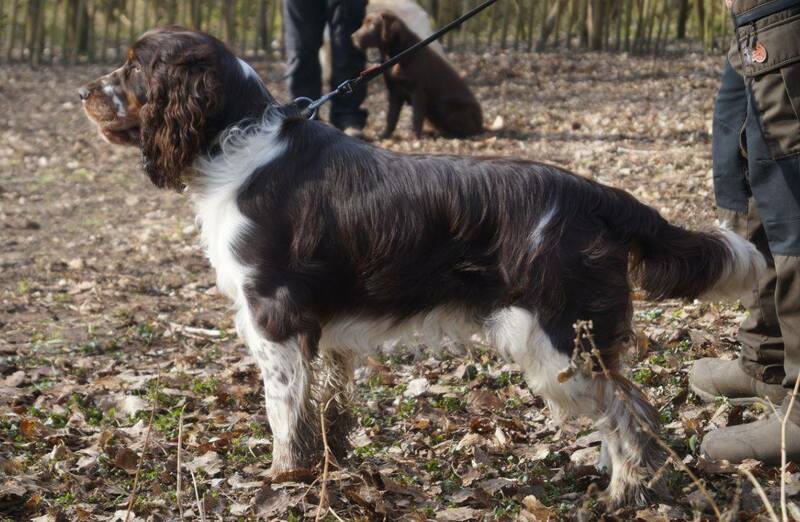 Welcome to Schwarzen Hammer Working Springer Spaniels ! We are Kai & Delfien Verschatse-Amez and we live in the heart of the Flemish Ardennes, the most green and hilly region of Flanders. All our dogs grow here in freedom, no 'birds in Golden cages' (we do not keep dogs in kennels). It is our mission to breed self assured & sporting Springers, which can compete against any other breed. We have references worldwide where our dogs successfully be used for competition, police, rescue and/or family dog. We pay exceptional attention to high work ethic & health. To achieve this we have built up our own and unique bloodline, this from less 'commercial' CZ-German-Swedish genes which we mix with UK bloodlines. What makes us even more different from other kennels, is the fact that our bloodlines were selected not only from Fieldtrial-dogs, but also from cynological dogs Duitse Jagdgebrauchsspaniel Verein . With pride we can say that all our breeding stock achieved a working title and/or breed-test with high distinction, as well as the 'Social Behaviour Test' (TSG). Our motto is: 'to breed the best dogs, one must start with the best parent dogs'.